On 3 June, 2018, Silversea Expeditions proudly celebrated 10 years of luxurious expedition cruising, marking the occasion with a two-day gala voyage between London and Dublin. On this momentous day, the ultra-luxury Silver Cloud departed London’s Tower Bridge amid great elation to honour Silversea Expeditions’ very first voyage, which sailed under Tower Bridge for Svalbard a decade ago to the day. In a nod to the company's continued focus on innovation, Silver Cloud, which was the first vessel in Silversea’s fleet and was reimagined as an elegant ice-class expedition ship in late 2017, crossed paths with Silver Spirit - Silversea’s recently lengthened and renovated ship - in Greenwich, London. The array of enrichments aboard Silver Cloud’s celebratory voyage included a congratulatory video message from HSH Albert II, Sovereign Prince of Monaco, who had cut the ribbon in Monte Carlo during the naming ceremony for Silversea's first expedition ship in 2008. Originally named Prince Albert II in tribute to His Serene Highness and his environmental efforts, the ship sails today as Silver Explorer and continues a legacy of sustainable tourism. Chairman. "I am glad to see that my vision has been successfully realised and we are now recognized for our destination leadership. Since the launch of our expedition itineraries, we have connected people with the world’s most spectacular landscapes and cultures, and, in the process, we have fostered respect and greater care for our planet and its inhabitants. I am very proud of my team and our mission. We will continue to scout new destinations to bring innovation to the world of expedition cruising." Over the last 10 years, the company's commitment to environmental sustainability and humanitarian efforts has extended across the globe, in many forms: in the Cook and Phoenix islands in 2015, guests of Silversea participated in a mammal acoustic survey that successfully added three new species of animals to the national registry; in Bangladesh, where Silver Discoverer made the first-ever cruise ship call in 2017, we visited a remote village where our guests purchased regional produce to benefit the local community; and in 2017, when Silversea engaged in a partnership with ORCA, one of the U.K.'s leading marine conservation charities, to enable guests to discover incredible marine life and contribute to the charity’s ongoing conservation work. In the Galápagos Islands, where Silver Galapagos inaugurated ultra-luxury expedition experiences in 2014, Silversea will co-sponsor a camp for children to encourage the conservation of marine habitats. 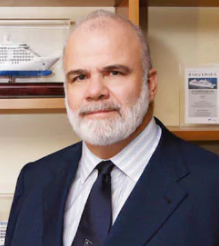 Looking ahead, the future of ultra-luxury expedition cruising is in safe hands with Silversea. With a Northeast Passage crossing planned, and additional voyages to the Bay of Bengal, the Russian Far East, Antarctica, and Australia's Kimberley Coast, among others, the cruise line will continue to push industry boundaries. Of special note are two Silver Discoverer cruises that depart in summer 2019 for Borneo's Camp Leakey – a renowned refuge for orangutans, to which the cruise company enjoys exclusive access and has made various donations to support the protection and research of the primates. Efforts to champion environmental sustainability are currently, and will continue to be, key in Silversea’s strategic development. Silversea is a member of the Association of Arctic Expedition Cruise Operators (AECO), which is dedicated to managing respectable, sustainable and safe expedition cruising in the Arctic. Moreover, the cruise line belongs to the International Association of Antarctic Tour Operators (IAATO), which promotes safe and responsible travel to Antarctica. In the past decade, Silversea has developed innovative strategies - such as a dedicated training academy - to recruit an unparalleled team of expedition specialists. This has played a crucial role in the cruise line’s success. On each expedition voyage, teams of up to 28 experts conduct immersive destination experiences for guests. These passionate and insightful professionals offer informative lectures and discussions on board, in addition to Zodiac® excursions and nature walks ashore – all of which are complimentary. Aboard Silversea's fleet of four purpose-built expedition ships, guests enjoy ocean-view suites, gourmet cuisine, the personalized service of a butler, and a generous selection of all-inclusive shipboard amenities, including complimentary beverages served throughout the ship, a stocked in-suite beverage cabinet, and unlimited free Wi-Fi.